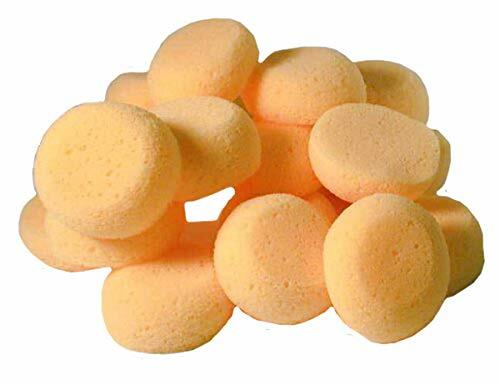 For great savings in a high quality imitation sponge, these hydra sponges can't be beat. They are manufactured with a smooth texture to look and feel similar to a natural silk sponge and can be used for anything from smoothing clay in ceramic or pottery projects, applying paint in household or craft projects to washing dishes. They are gently curved at the sides and somewhat flattened at the top and bottom. Each sponge measures 2 - 2/12 inches when wet. They are supplied to you in a dry, compressed state and need only to be wet to attain their full size and shape. They are clean, uniform and fit comfortably in your hand. You get 25 sponges in this lot for one low price! 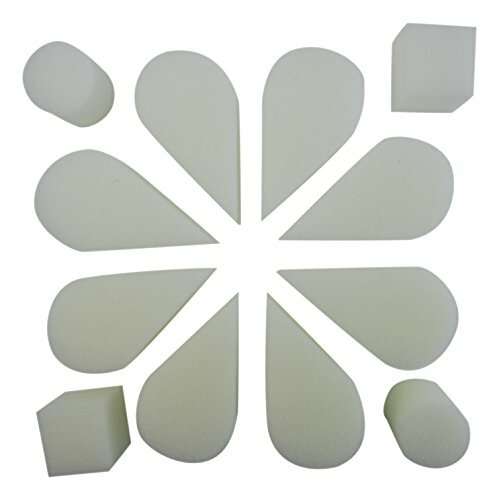 High Density Petal Sponges are high density, petal sponges ideal for face painting. 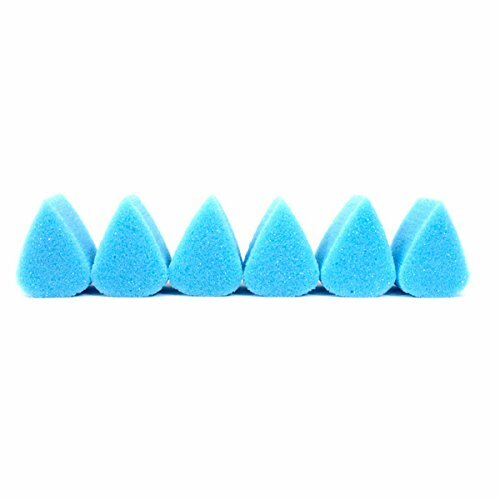 High Density Petal Sponges are soft on skin, provide good grip and hold shape during face painting. Can be cleaned easily and reused multiple times without any staining. Brand: Ruby Red Paint, Inc. Perfect for painting, our synthetic sponges are sturdier and stiffer than natural sponges. They produce fine, dense textures, perfect for creating foliage or hazy landscapes. 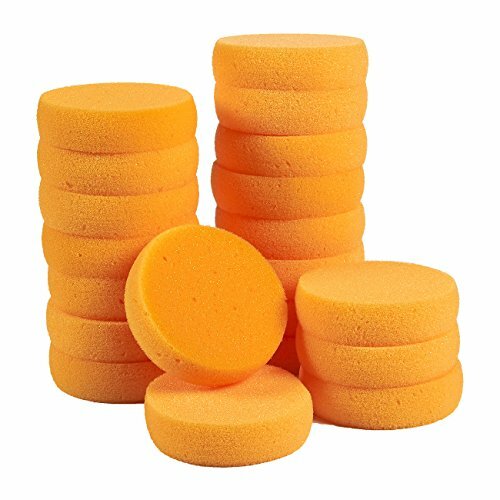 These sponges are also excellent for household cleaning. The soft and absorbent material holds suds effectively and won't scratch any surfaces. Get 20 of these versatile sponges at a value price! Instead of paying for overpriced sponges at the last minute at the local craft store, get this value pack beforehand. 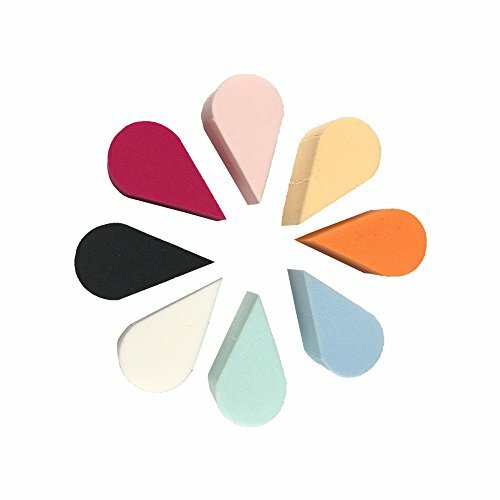 Paint Pal Petal sponges are great for all your sponging needs. 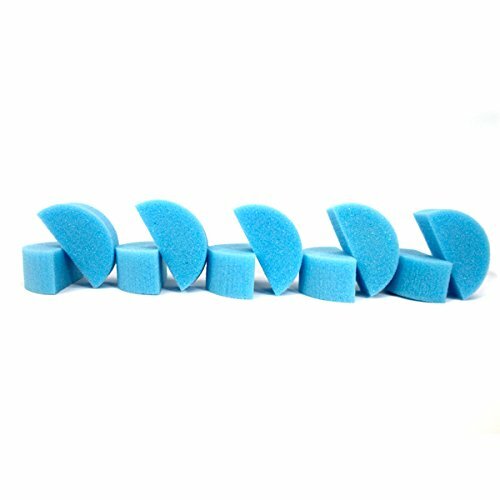 They are made of a sturdy foam and cut into the perfect shape to create butterflies, eye designs and applying base coat. Paint Pal sponges are slightly stiffer than other brands, which allows for good control when getting in corners and making edges. They measure approximately 1 inch across and 1 inch in depth. Petal sponges are sold in a 6 pack. Paint Pal sponges are durable and soft on the skin. To clean your sponges rinse with Brush Bath and let dry. To use spritz with water and rub on the surface of your face paint and then apply to the skin. Paint Pal sponges are great for all your sponging needs. They hold paint well and are perfect for sponging on all your base colors. Paint Pal sponges are slightly stiffer than other brands which allows for good control when getting in corners and making edges. They measure approximately 2 ¼ inches across and 1 inch in depth. These sponges are pre-cut in ½ for easy maneuvering. These sponges are sold individually or in 10 packs. The sponges feel soft on the skin and are easy to clean. 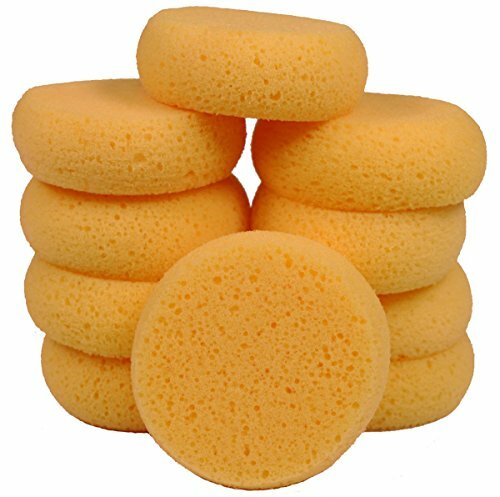 For great savings in a high quality imitation sponge, these hydra sponges can't be beat. They are manufactured with a smooth texture to look and feel similar to a natural silk sponge and can be used for anything from smoothing clay in ceramic or pottery projects, applying paint in household or craft projects to washing dishes. They are gently curved at the sides and somewhat flattened at the top and bottom. Each sponge measures 3-1/2 inches diameter when wet. They are supplied to you in a dry, compressed state and need only to be wet to attain their full size and shape. They are clean, uniform and fit comfortably in your hand. You get 10 sponges in this lot for one low price! Help with Sponges and Stencils. 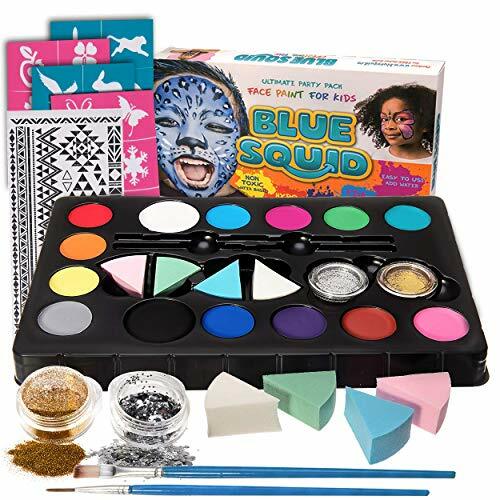 Tips and tricks for face painting with your sponges and stencils.